SINGAPORE: Some would call it the `election’ budget. Others would call it the `Robin Hood’ budget. The top earners might call it `time-to-go-to-Cayman Island’ budget. Meanwhile car owners would call it `how-about-the-smokers?’ budget. Whatever it is, here are just the good stuff from the budget. Very rich people and car owners, you might want to look away now. Every Singaporean aged 25 and above will get an initial $500 of SkillsFuture Credit from the Government, which will be topped up at regular intervals and will not expire. They can either choose to go for a short course with the $500, or accumulate credits for more substantial training in the future. *Note: Slimming courses are not included. From May 1, households eligible for the Foreign Domestic Worker Levy Concession will enjoy a further discount on the monthly levy. Employers of foreign maids now pay $265 a month in levies, or $120 if they qualify for a concessionary rate. The concessionary rate will be cut to a mere $60. The income ceiling for CPF contributions will be raised from $5,000 to $6,000 from next year onwards. An additional 1 per cent interest will be applied to the first $30,000 of CPF savings for those aged 55 and above next year, on top of the existing 1 per cent extra interest on the first $60,000 of savings. This means that the first $30,000 in Special, Retirement or Medisave accounts can earn up to 6 per cent interest. 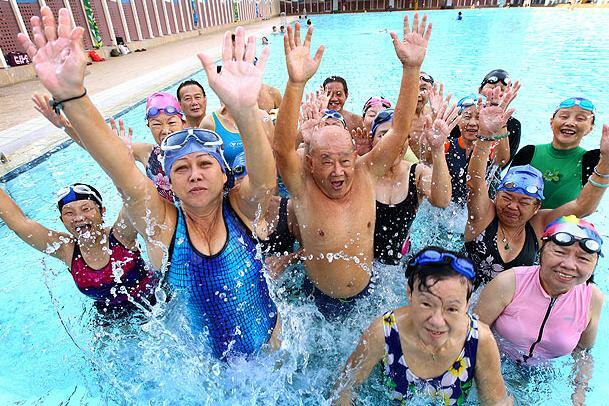 Under the Silver Support Scheme, the bottom 20 per cent of Singaporeans aged 65 and above will get payouts of between $300 and $750 every three months. The average low-income senior citizen will receive $600. They will be automatically eligibile. Amounts will depend on their lifetime wages, housing type and household support. The Silver Support Scheme will be implemented around the first quarter of 2016. *Note: Should give now just in case. But still a very good gesture. In the interim before the Silver Support Scheme is in effect, senior citizens who are aged 65 and above, live in Housing Board flats, and whose assessable income for 2014 is $26,000 or less, will receive a one-off “Seniors’ Bonus”. The bonus of either $150 or $300 will be in the form of Goods and Services Tax (GST) vouchers and will be on top of the vouchers for those aged 21 and above. The amount seniors will receive will be based on the annual value of their home as at Dec 31, 2014. 1.4 million Singaporeans will get $50 more in Goods and Services Tax (GST) Vouchers from this year. The increase in GST Voucher quantum across the board means that eligible individuals will receive up to $300 in cash. Taxpayers will enjoy a one-off tax rebate of 50 per cent, capped at $1,000, for the year of assessment (YA) 2015 for income earned in 2014. Some 1.5 million taxpayers will benefit from the rebate. Examination fees for Singaporeans sitting for national exams in Government-funded schools will be waived from 2015. This covers fees for the Primary School Leaving Examination (PSLE), and GCE N, 0, and A levels. Students and their families will save up to $900 for these exams. The Government will start a new Partner Operator Scheme to complement the Anchor Operator Scheme for child-care centres. Drivers will enjoy a one-year road tax rebate of 20 per cent for cars, 60 per cent for motorcycles and 100 per cent for the small number of commercial vehicles using petrol. So there you have it. Go and hug your grandparents now and say that you love them.